I’ve had some reflection after the tragic terrorist attack in New Zealand and while the majority of people have been universal appalled some responses have been frankly depressing. I’ve seen people question why Trump has received criticism while after the Pulse terrorist attack in Florida Obama didn’t recive the same thing. The difference is in Florida the murder who was Muslim targeted the LGBT community, prior to that Obama had not stood on an anti LGBT platform and the shooter had not praised him or mentioned him in his manifesto. In New Zealand the shooter has praised Trump who has clearly stood on an anti Muslim platforn and has been slow in his criticism of White Supremacists and has empowered them with his rhetoric and actions. Another thing I’ve seen is some pushing this idea that the New Zealand shooter is not Far Right or White Supremacist and in fact is a left wing environmental terrorist, this false narrative is well and truly sticking the head in the sand to the issues of the rise in hate and prejudice and the danger the far right poses, he clearly openly calls himself a white supremacist and has links to far right groups. Another thing is comparing the response to attacks around the world on other faith groups, ideally all these would get equal coverage but the way the media works is attacks in Europe, USA,Australia and New Zealand will get more coverage then Africa, India and Pakistan that doesn’t mean it’s a conspiracy to keep these incidents under wraps. Police are appealing for information after a shed burglary in Ipswich at the end of last week. The shed at a home in Byron Road was broken into sometime between 10.30pm Thursday 21st & 11am Friday 22nd February. Once inside, a Playstation 4 games console and cash were stolen from inside. If you have any information about /this burglary please contact Suffolk Police on 101 quoting crime reference 37/10869/19 or use the online crime reporting link – http://www.suffolk.police.uk/contact-us/report-something. On Friday, 26th April 2019, the Mayor of Ipswich, Councillor Jane Riley, will be hosting a “Music on the Barge” event at the Ipswich Waterfront in aid of the Mayor’s Charity – The Suffolk Law Centre. Come and join her on-board the historic Sailing Barge Victor for an amazing night of music from local musicians Holly D Johnson and Exit 13. The Barge has a well-stocked and fully licenced (cash only) Bar, and the evening includes a hearty vegetarian buffet! Venue is the Sailing Barge Victor, berthed at the Old Custom House, Ipswich, IP4 1BY. Music on the Barge is a ‘static’ event and the Sailing Barge Victor will remain moored along the quayside for the evening. Ipswich Museums have set up three panel groups which will give local people a way to shape what the museums in Ipswich do and how we work. The panels will discuss and shape the events programme, exhibitions and gallery text, as well as any physical access issues. It will reflect the needs, priorities and interests of local people, based on your varied experience and perspectives. The disability access panel will be held at Ipswich Museum on 25 February from 2-3.30pm, when we will be talking about the Ipswich Museum redevelopment. I was genuinely concerned when I heard the reports of his racist and homophobic attack, concerned for all those who had faced this before and will face it in the future. Then I was stunned when it was reported it could of been faked, waiting for the facts to come out something I didn’t do before because of my confirmation bias and how this act reinforced my world view that hate and prejudice is on the rise. 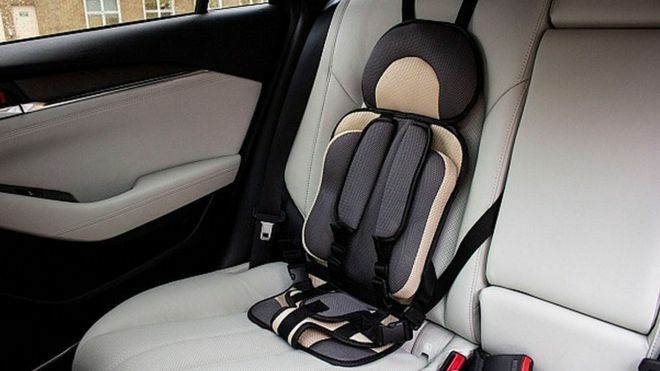 This week the BBC reported on what was dubbed as “killer car seats” being sold on platforms such as Amazon and eBay. The consumer group Which? have found that although the seats had been removed from sale in 2014 after tests showed they lacked the support needed to protect babies and toddlers, the seats had repeatedly re-appeared for sale on online marketplaces ever since. The fabric seats, which can cost as little as £8, offer almost no protection in a crash and are illegal to use in the UK. Approved seats carry a clear orange label with the codes ECE R44-03, ECE R44-04 or ECE R129 to indicate they have been put through EU safety testing and can therefore be legally sold on the UK market. If you see a dangerous car seat being sold, or have purchased one that you have concerns about, please contact Trading Standards via the national Citizens Advice Consumer Service helpline on 03454 040506.